Some questions arise more than others. Here are some common answers. If you can’t find the answer here, just drop us an email, and we will be happy to help! How long will it take to receive my order? How much shipping costs? We ship all orders the next business day after receiving your payment. Paccocelere or DHL for Express international deliveries, which is a fully trackable express worldwide service. It takes 3-6 working days to deliver. It costs $59 and is free for all orders above $600! Posta Raccomandata for International Registred Mail. This is signed on delivery shipping method, secure and fast. It is not always trackable but safe, and takes 6-10 working days to deliver to most countries. It is usually used for small orders and costs only $19! Nowhere should be without quality lace, so we ship all over the world: Australia, USA, Singapore, Japan… you name it! What about wholesale, bulk orders? Our prices are extremely competitive. We offer flexible and accumulative discounts starting from a 10% discount for any full bolt of lace. We are textile agents dedicated to the satisfaction of you, our customer. We strive to offer the best prices around, so just contact us! So what are customs charges? Do I have to pay taxes on my orders? Small retail orders are usually tax-free in most countries. However, local laws may vary, and we can ship to accommodate your needs. Please contact us to inquiry about special provisions. Can I get samples of your laces? You can order samples of our laces here, click me. We also have galleries featuring high resolution pictures of our products to help you make your choice. We are always on hand to help you choose the perfect lace. Just write us with your thoughts and we will be happy to consult you. If you would like additional photos we can provide them. Are all these laces in stock? Can I order lace in different color? Absolutely – all 300+ of our laces are in stock. We are really proud of our diverse selection, and we hope you like it too! 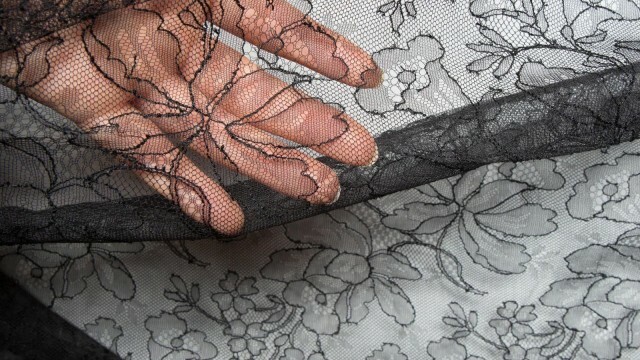 This represents the width of the lace fabric in centimeters. In this example it’s 130 cm. The final word is the color of the lace. Some laces have a letter such as “A” or “E” after the width number. E — is for the embroidery pattern above the lace design. A — is for appliqués. B — is for beaded laces. 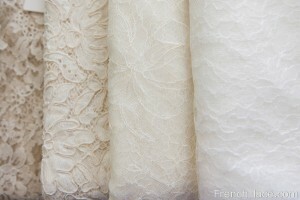 I need lace fabric for a wedding dress. How can I choose the right color? 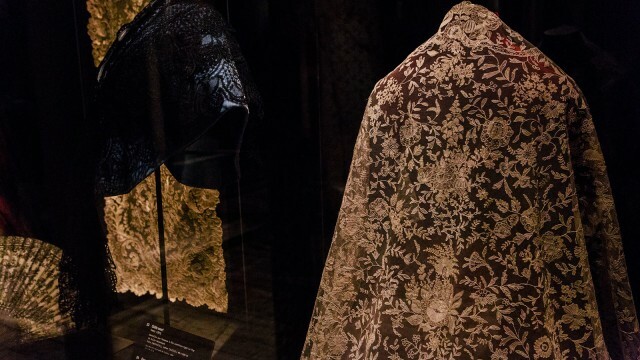 We have a special post in our blog for you: Whiter shade of lace. It has all the photographs and information you need to get everything perfect for your special day. If you are looking for Ecru color, please note that we designate it as Ivory. Do you offer corded laces? Almost all of our Guipure laces are corded, as well as some Chantilly laces — particularly the two-toned selection.